At home, it’s all work, kids, and preparing to move. I’m not sure I have ever been so acutely aware of needing twice as many hours in a week. 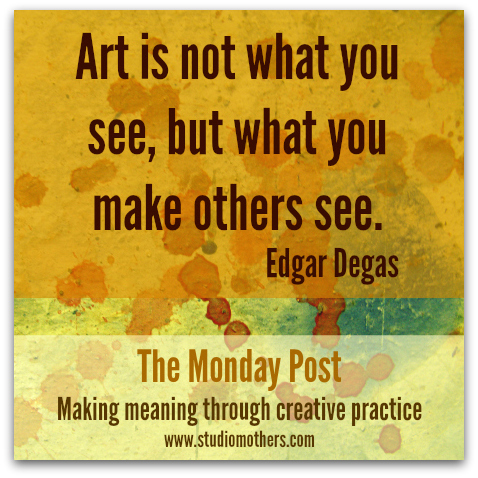 I hadn’t thought about art, or creativity for that matter, in this way. I like the shift in perspective this has given me and I wonder if it will show up in my writing this week. This is a great quote to start the week’s endeavors. Love the quote. Back to the work of writing — a daily journal, a weekly blog post, room to play.